Yesterday Red, the lovely Ms. Trask, my sister and her handsome brood spent part of the afternoon walking along the Columbia Trail in northern Jersey. 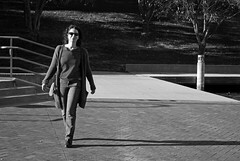 It was my sis’ suggestion, a way to get out and enjoy the weather, threatening as it was. She and her running coven regularly jog along this trial. I understand why they drive the 30 minutes or so to get there. Running on the CT sure beats dodging traffic and timing stoplights, especially in the spirit of good health. Before yesterday I never heard of the Columbia Trail. 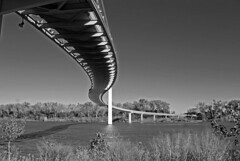 If asked I would’ve guessed it was somewhere in the great Northwest along the Columbia River. It sounds like an Oregon thing. Well maybe a Columbia Trail is up that way; it would make sense. But in Jersey? Not so much. Yet despite our very un-Columbia likeness we lay claim to this Columbia Trail, 16 miles of pathway cut through the sylvan beauty of Appalachian New Jersey. We didn’t walk the entire length. We managed 3 miles – 1½ east and then 1½ back west to the car. We followed all that fresh air and moderate exercise with heaping mounds of Mexican food. Is this a great country or what? When the trees are in full bloom, and especially near the end of their cycle in the autumn, I imagine the trail is pretty darn idyllic. But even with bare trees it’s quite picturesque. However, what I found most interesting were the gnome homes. Yes, tucked away along the side of the trail in clearings, on rocks and in trees stood both freestanding and lean-to shelters people have constructed over the years for dolls of the gnome variety. 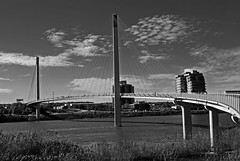 “Constructed” implies big time engineering. This is misleading. 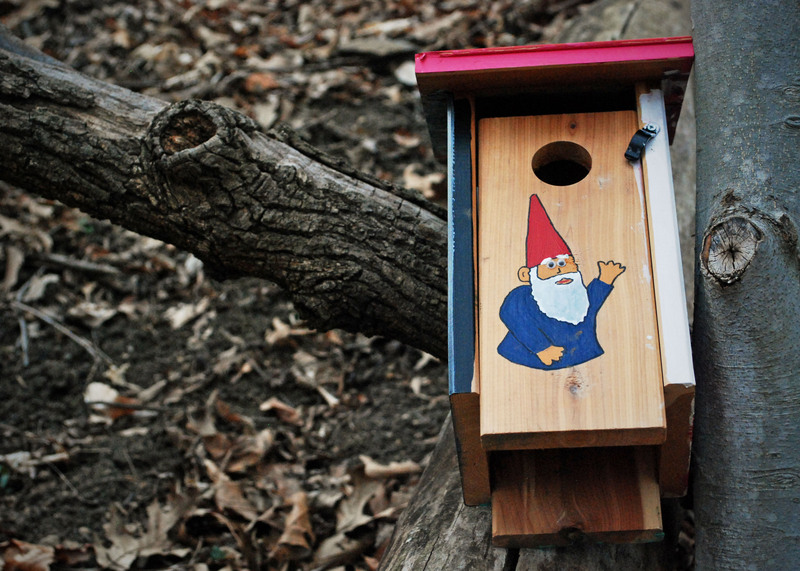 Often these gnome homes are refurbished bird houses with additions. Along with providing protection from inclement weather for once homeless gnomes, trinkets and such were placed in their vicinity as, I assume, some sort of tribute. Maybe people feel by lavishing things like bottle caps and marbles upon the gnomes the trail will remain safe for travelers. You know, protection from the very same gnomes who scored free housing. A preventative program to avoid a “Gnomes Gone Bad” situation, as it were. Sis didn’t know the origin of these curious roadside attractions and she said they only populate the trail along its run through Hunterdon County. 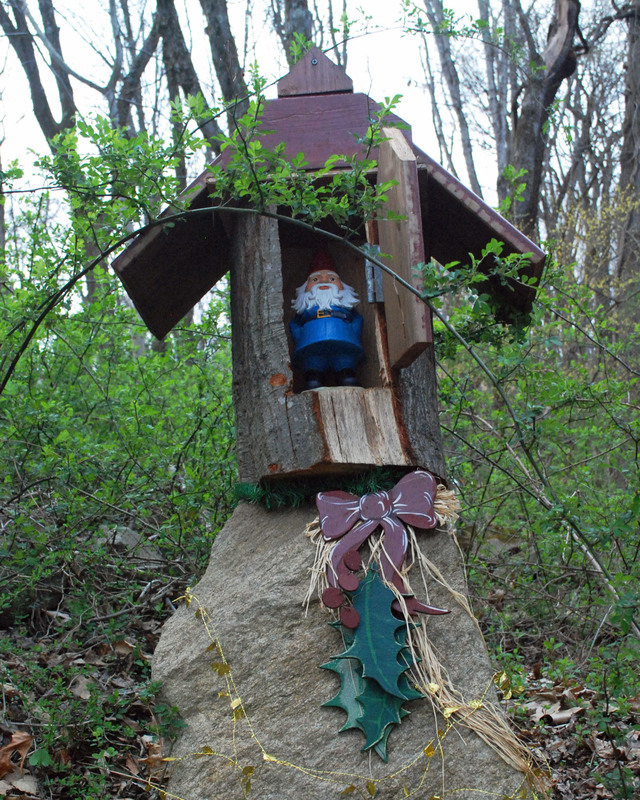 Once the trail crosses over into Morris County, the gnome homes stop. I imagine for two reasons. First, in the spirit of unfair generalization Morris County people can be quite snobby given their county’s perennial spot on the top ten list of wealthiest counties in the country. Second, as a result of this wealth property taxes are outrageous. Gnomes, chronically unemployed as they are, could never afford it. They are better off in the sticks of the sticks where people have less money and more superstitions, where they can skirt by without worrying about pesky distractions like income. I love that the gnomes have friends on the Columbia Trail who tend to them. I love that people who use the Columbia Trail respect and encourage this quirky tradition. And I love that we got to discover these little beauties as a bonus during our walk. Not only did they add a delightful twist to the day, our adventure was incident-free. Knowing what I know now, I doubt this was mere coincidence. I honestly, have never heard of anything like this before. I bet it was interesting to see…and you got to top it off with some Mexican food – yum! You can’t go wrong with Mexican food. I even like topping off Mexican food with Mexican food! With fairy godmothers and everything? Gnomes? Seriously? Kinda creepy if you ask me. For Jersey they don’t quite make it to “creepy” status. Very nice John and I liked your Flickr pics! Marvelous, John! Thanks for sharing this. I love areas where people have let their art and life blend so beautifully. Haven’t seen any gnome homes along our trails (I may have to begin a tradition…) but we have a lot of rock artwork — stackings and such — that appear in random, out of the way places. This was like getting two prizes in a box of Cracker Jacks! Must appease the gnomes or they will destroy us. They are so small they could creep into Congress and introduce legislation that will kill us all. They can be quite stealth! 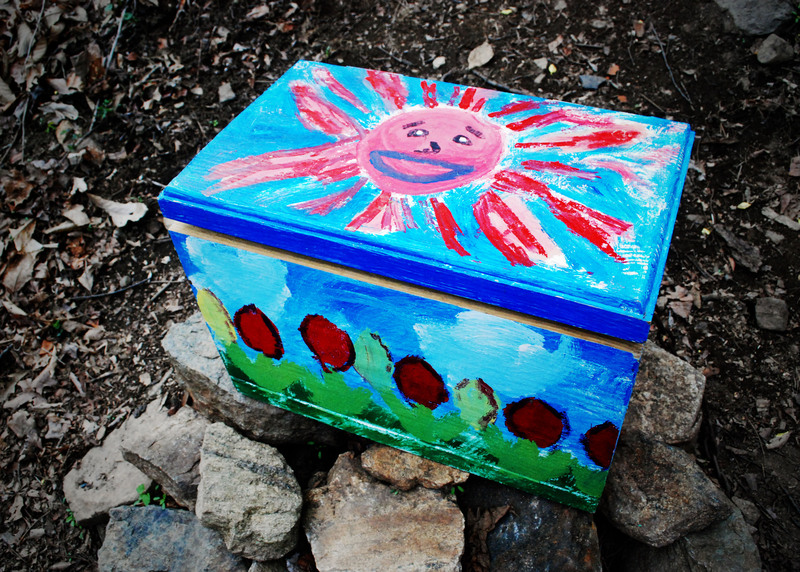 And I love that I got to experience the gnome home trail through this post! Interesting, indeed! 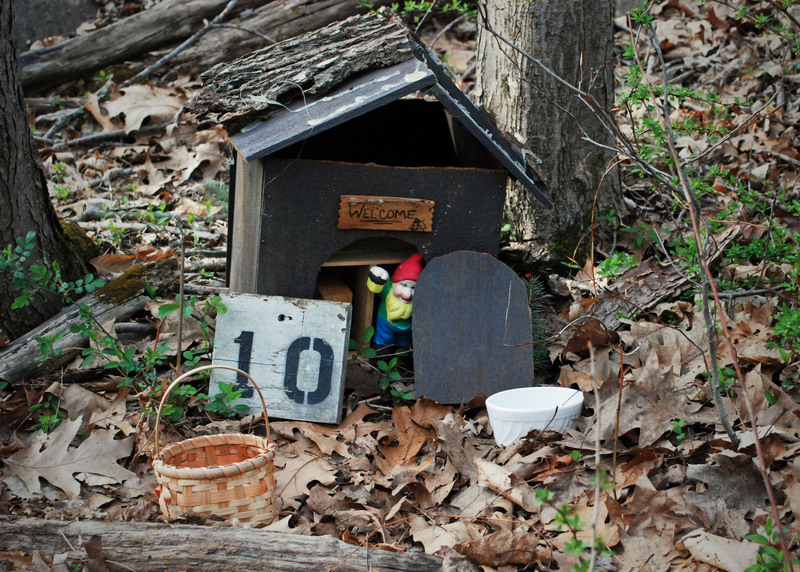 I’ve never seen gnomes, gnome homes, or gnome tributes on any trial I’ve hiked. I guess I’ve been hiking the wrong trails! 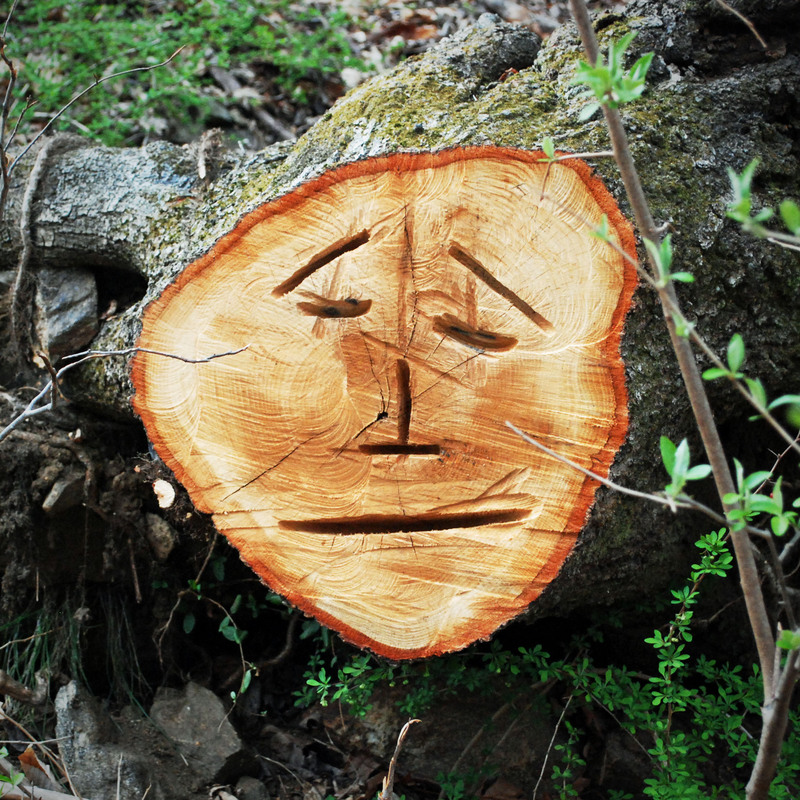 😉 Love the tree face. Time to hike new trails! I have a very old book here on gnomes… just saying 🙂 This is cute, sounds like you guys had a very good time! An old gnome book makes me realize realize you never see young gnomes! Gnomes on the range. I love it! Wow! The next time we visit my dad in NJ, we need to check this out. 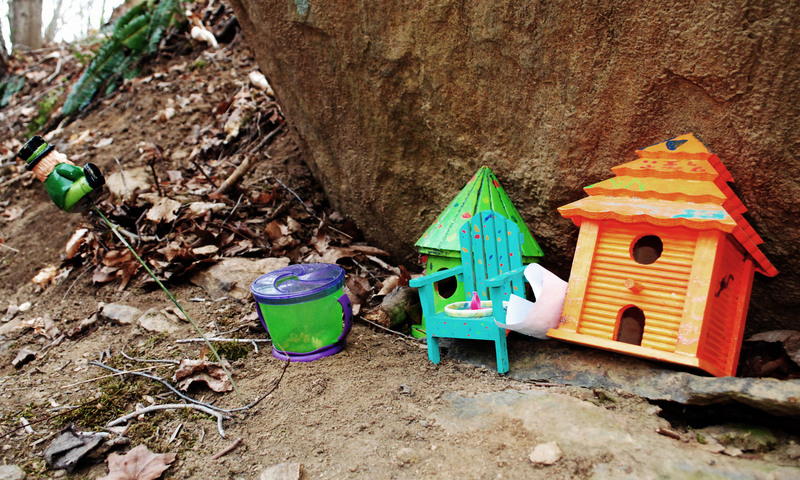 I, too, have never heard of that trail – or of the interesting gnome homes to be found along the way.